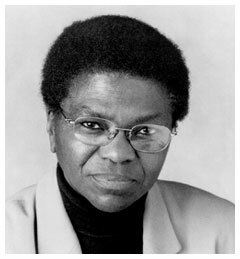 Mary Frances Berry is the The Geraldine R. Segal Professor of American Social Thought and a professor of History at the University of Pennsylvania since 1987. Mary Frances Berry was appointed a commissioner of the Civil Rights Commission by President Jimmy Carter in 1980. After President Ronald Reagan fired her for criticizing his Civil Rights policies, she sued and won re-instatement in federal district court. In 1993 President Bill Clinton appointed her chairperson of the Commission, a position she has held until recently. She also served as assistant secretary for Education in the U.S. Department of Health, Education and Welfare (HEW) during the Carter Administration, coordinating and supervising nearly $13 billion in federal education programs. Prior to her service at HEW, Berry was provost of the Division of Behavioral and Social Sciences at the University of Maryland and chancellor and professor of History and Law at the University of Colorado. She has also held faculty appointments at Central Michigan University, Eastern Michigan University, the University of Maryland, the University of Michigan, and Howard University. Professor Berry teaches the History of American Law, and the History of Law and Social Policy. She also advises students in African American History. A graduate of Howard University with both bachelor’s and master’s degrees, Berry holds a Ph.D. in American constitutional history (1966) and a J.D. from the University of Michigan (1970). A member of the District of Columbia Bar, she teaches history and law at the University of Pennsylvania. The holder of more than 30 honorary doctoral degrees and awards for her public service and scholarly activities, and the past president of the Organization of American Historians. She is the author of nine books, including And Justice For All: The United States Commission On Civil Rights And the Struggle For Freedom in America (2009); My Face is Black Is True: Callie House and the Struggle for Ex-Slave Reparations (2005); The Pig Farmer's Daugher and Other Tales of American Justice: Episodes of Racism and Sexism in the Courts from 1865 to the Present (1999); Black Resistance, White Law: A History of Constitutional Racism in America (1994, orig. 1971); The Politics of Parenthood: Child Care, Women's Rights, and the Myth of the Good Mother (1993); Why ERA Failed: Politics, Women's Rights, and the Amending Process of the Constitution (1986); Long Memory: The Black Experience in America, with John Blassingame (1982); and Military Necessity and Civil Rights Policy: Black Citizenship and the Constitution, 1861-1868 (1977). While an anti - War activist Mary Frances Berry, got herself credentialed by some local Michigan papers and became a correspondent in Vietnam. She traveled all over the country with various branches of the Armed Services, filing reports "we are not winning this war". Randall Robinson asked Mary Frances Berry to help found the Free South Africa Movement. Mary Frances Berry serves on the People for the American Way's Board of Directors. While working in the Department of Education, Berry she said we should not criticize Communist China's education policies for requiring students to "develop what they call socialist consciousness and culture." In 1982 she lamented that "a massive barrage of propaganda" by America's media caused blacks to misunderstand the Soviet Union's virtues, including "safeguards for minorities," "equality of opportunity" and "equal provision of social services to its citizens." In 1996 Mary Frances Berry, US Commission on Civil Rights was one of the original 130 founders of Campaign for America's Future. This page was last modified on 31 December 2014, at 06:11.